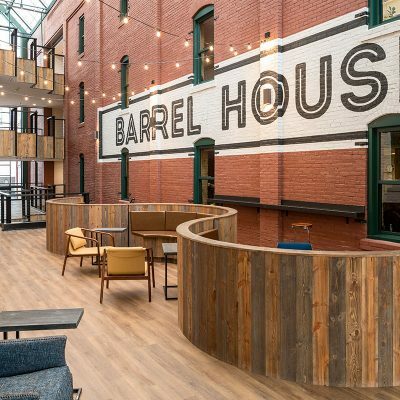 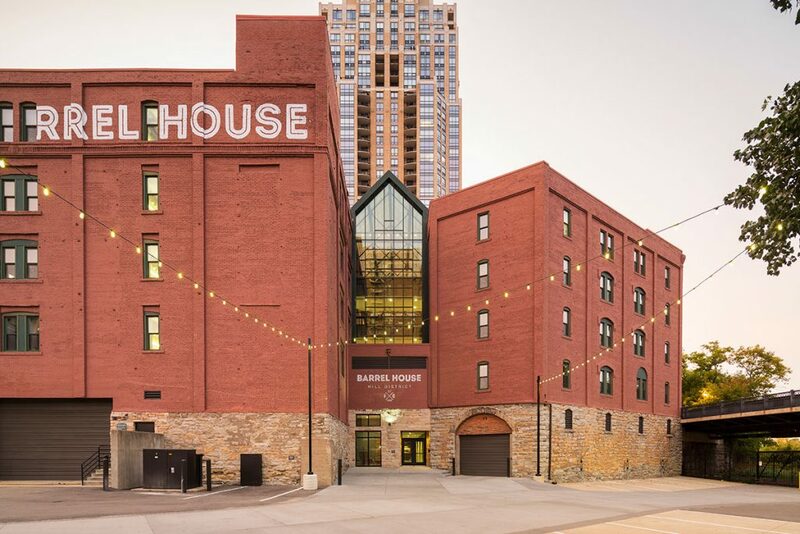 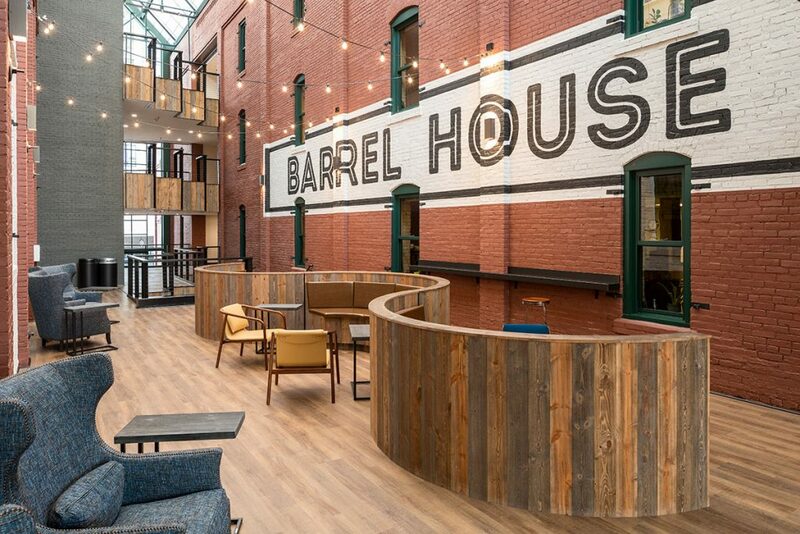 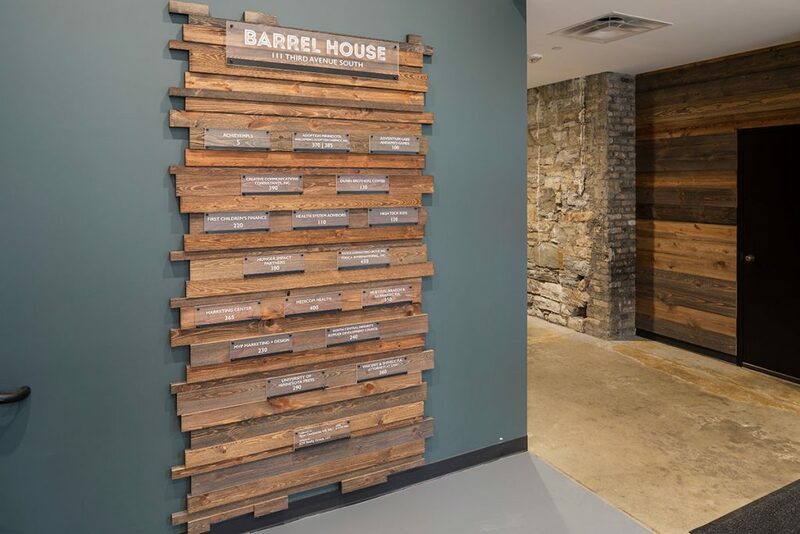 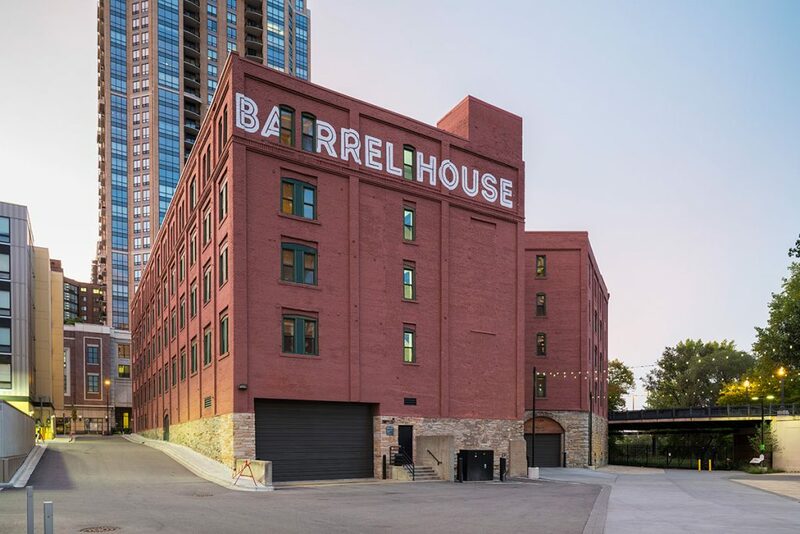 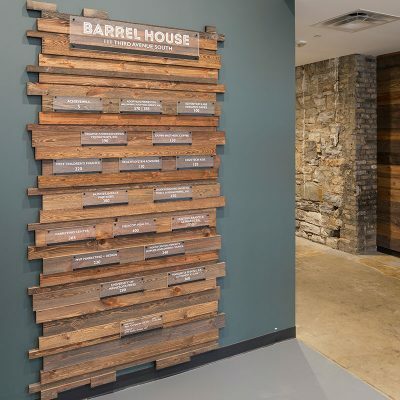 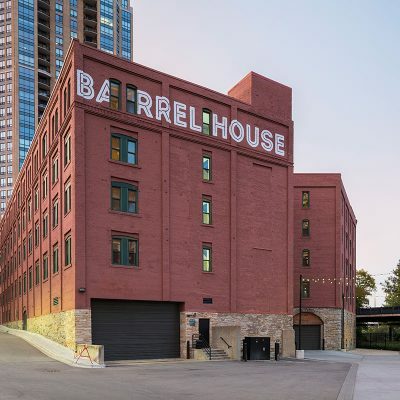 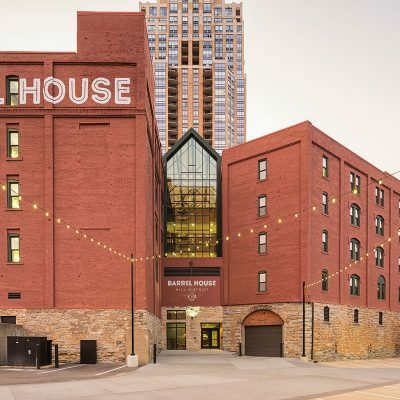 Built in 1880 to accommodate the storage needs of the booming flour mill industry in Minneapolis’ West Side Milling District, Barrel House was first known as the Hall and Dann Barrel Company. 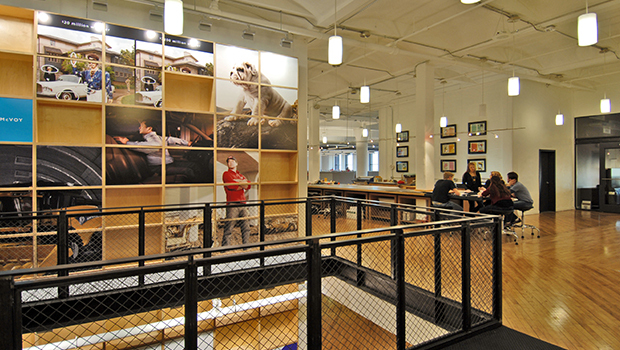 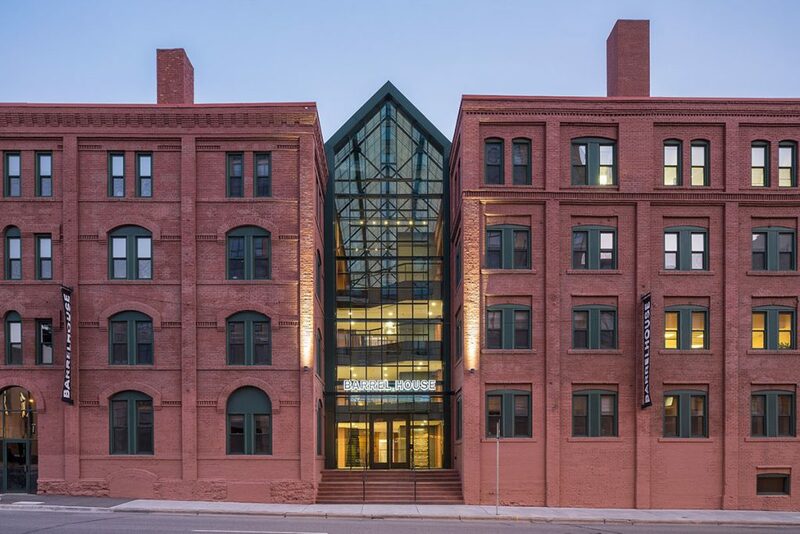 In 1984, the building was transformed from a warehouse into a modern office building in an extensive renovation. 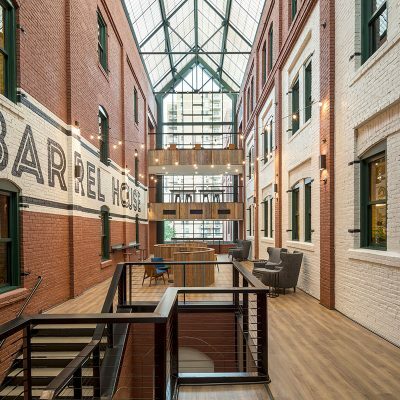 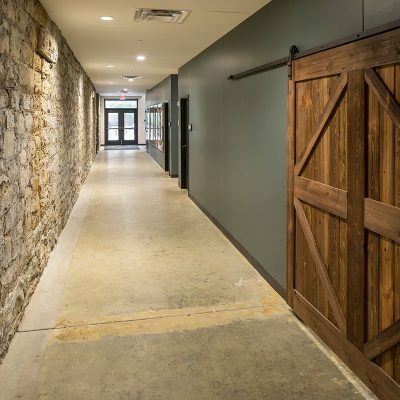 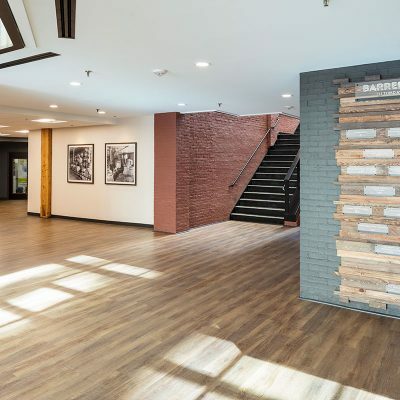 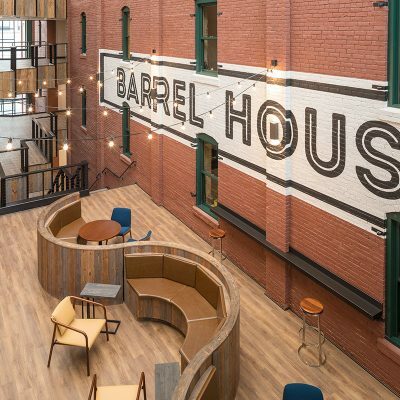 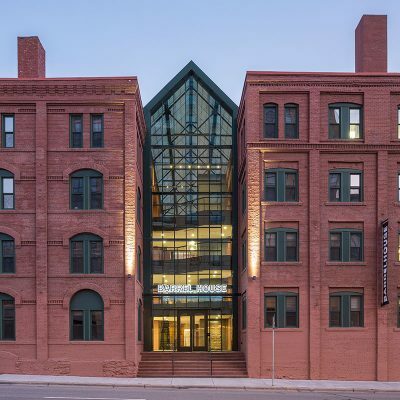 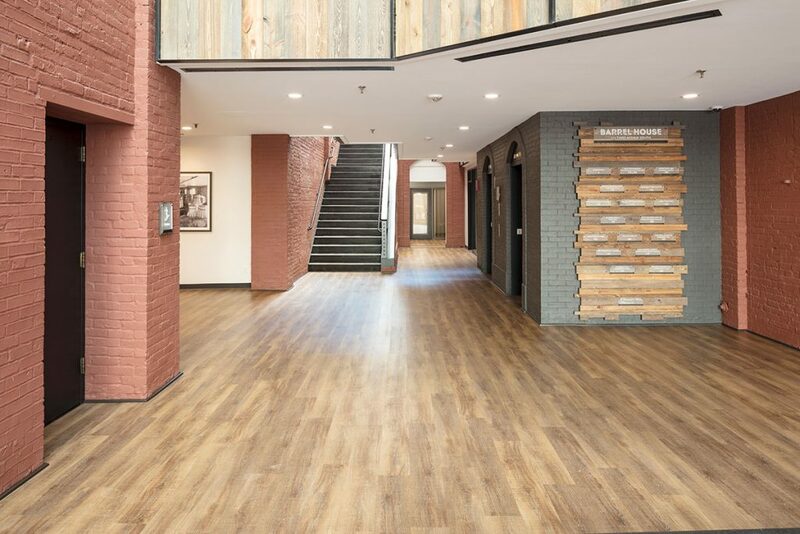 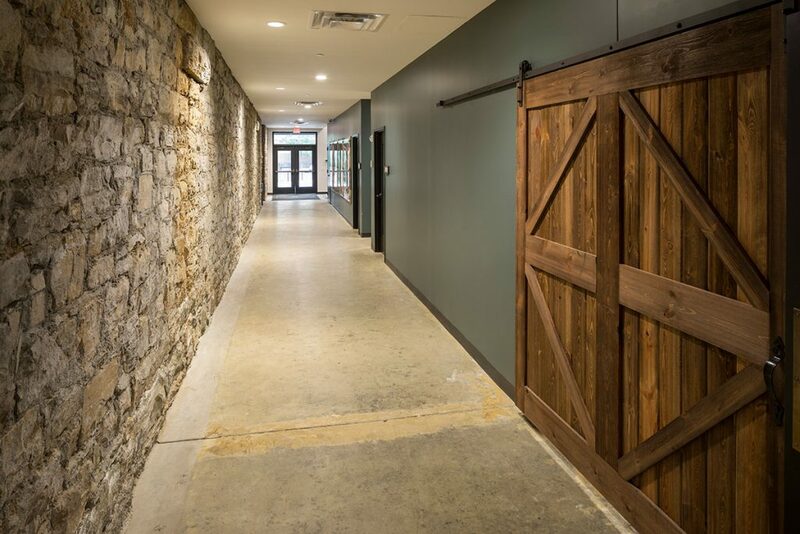 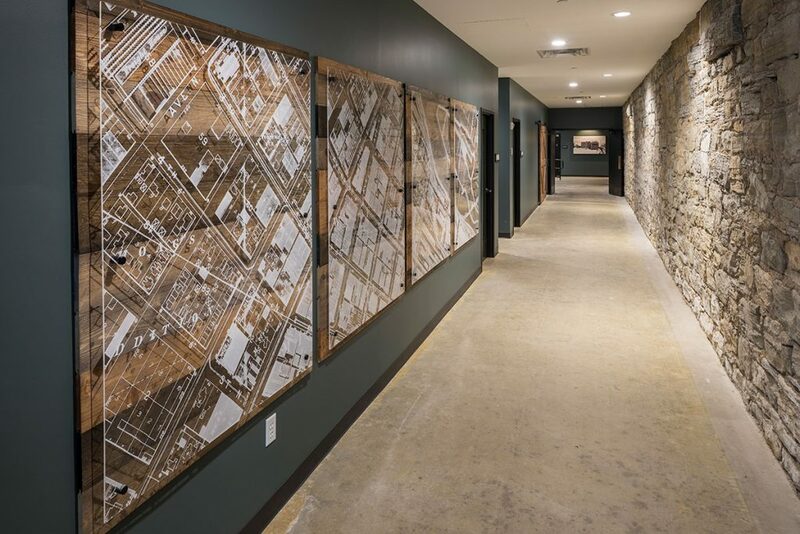 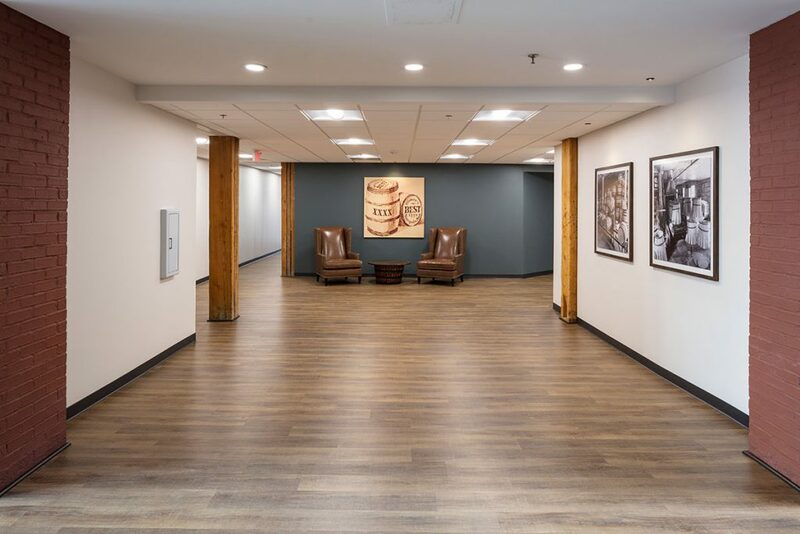 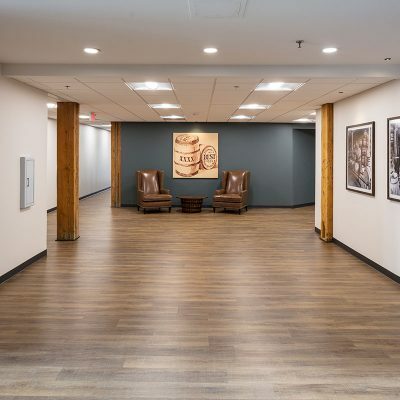 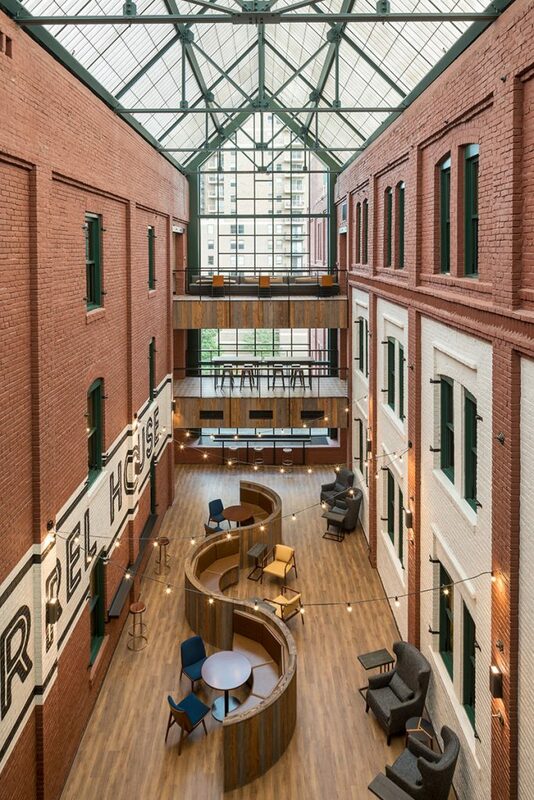 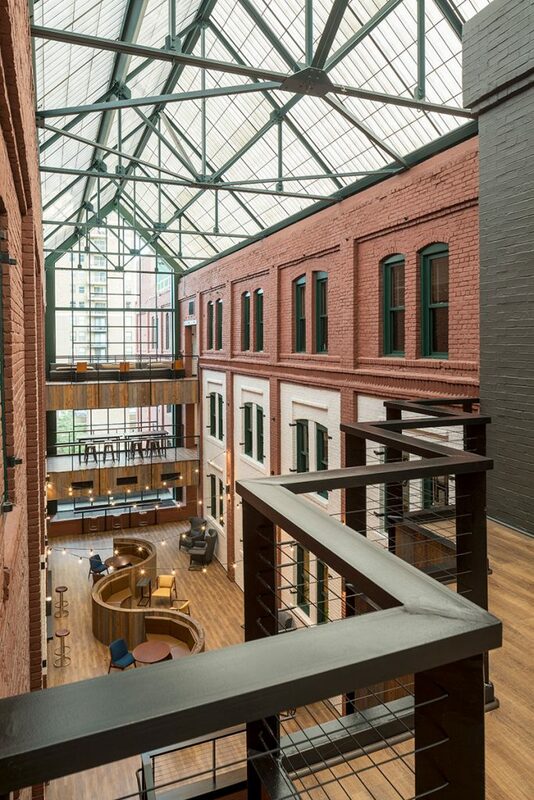 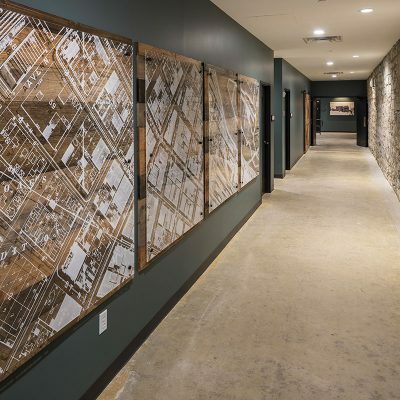 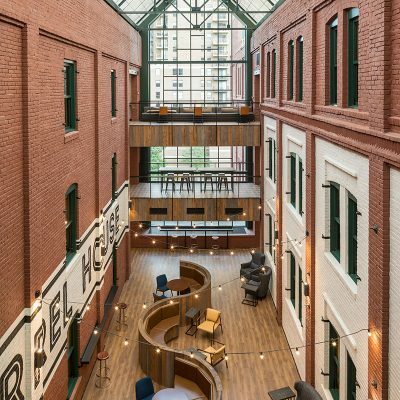 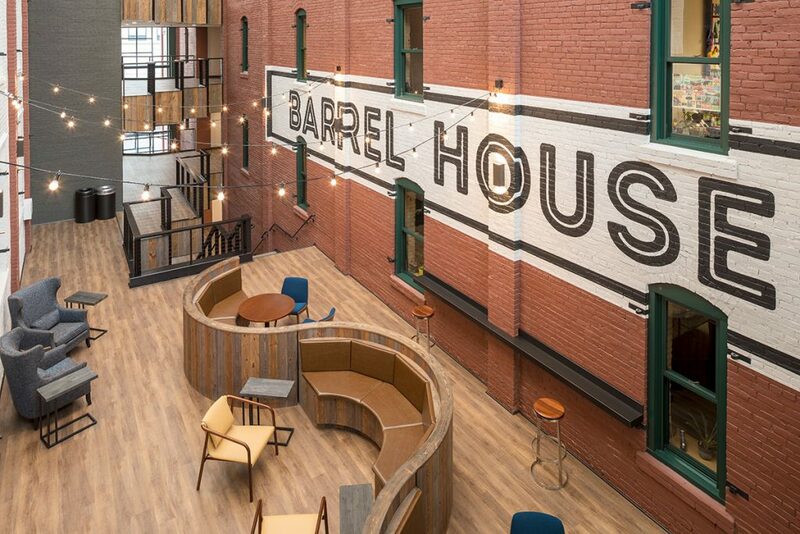 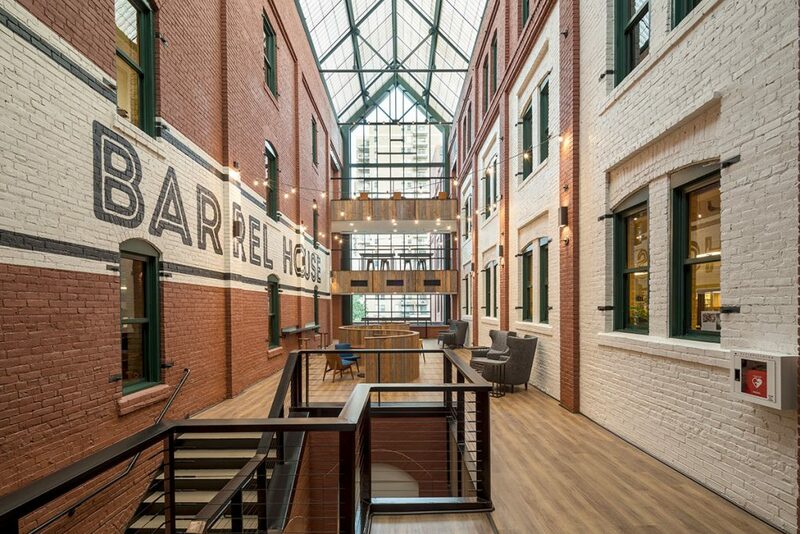 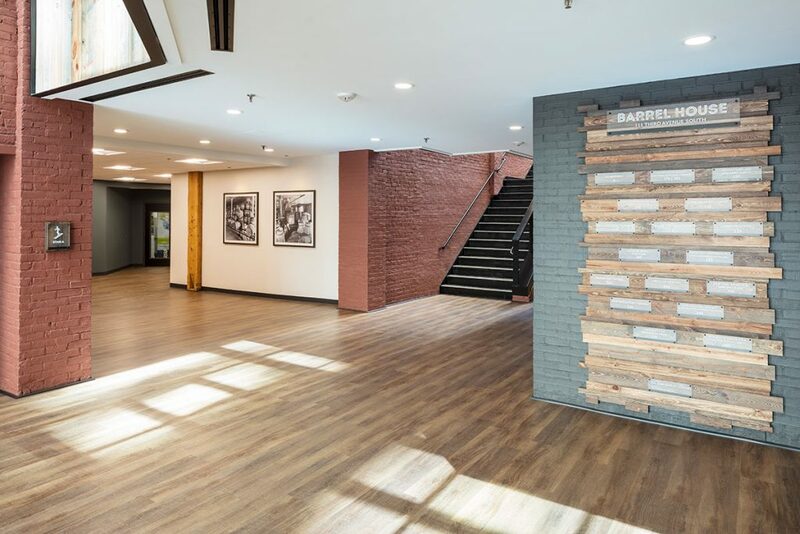 In 2016, BKV Group was hired to assist in restoring this historically significant office building through a renovation authentic to its heritage and narrative, with modern amenities. 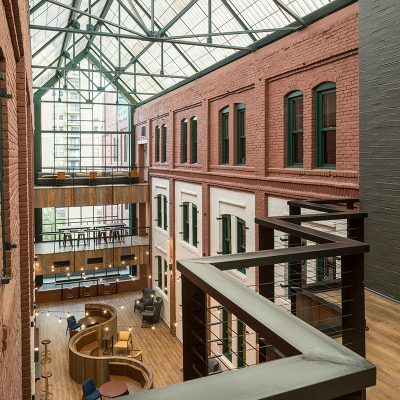 The historic building features brick and timber construction, abundant indoor executive parking, a lower level amenity floor, and an expansive glass-enclosed atrium. 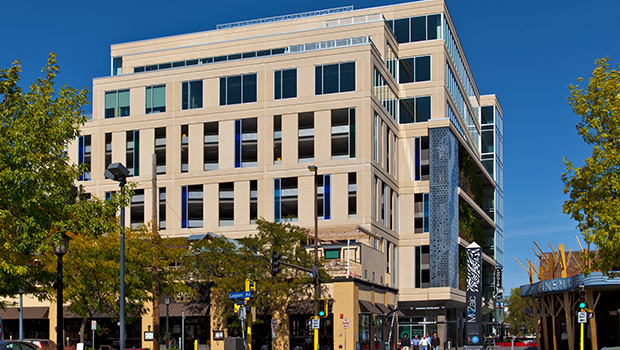 BKV Group assisted in exterior re-branding efforts and signage throughout. 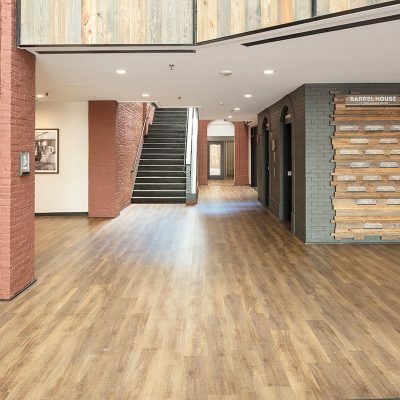 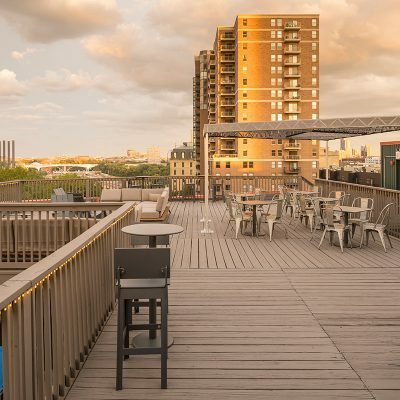 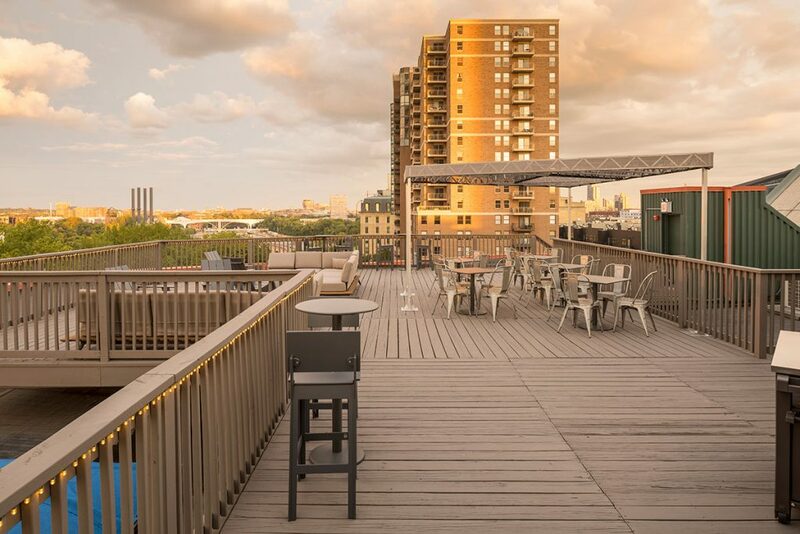 Updates also included a new building entry, a re-worked rooftop terrace, electrical and mechanical systems upgrades, and interior finish, fixture, and furniture updates to common spaces. 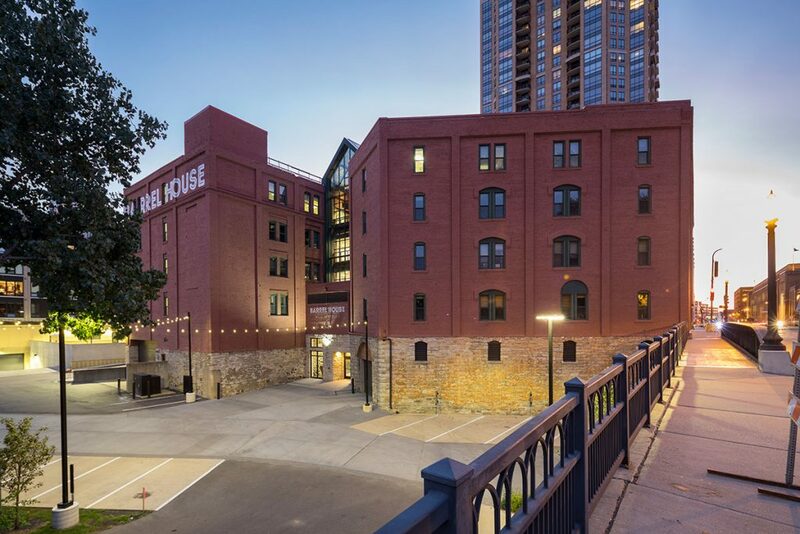 As part of this restoration, BKV Group also designed a landscaped path called a “Woonerf,” a Dutch street design concept consisting of shared space for vehicles, pedestrians and bicycles. 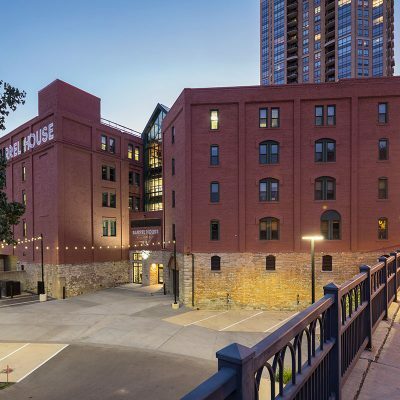 The Woonerf provides a rare gateway to the parks and trails along the Mississippi River, and serves as a public right of way for bicyclists and pedestrians.